Make no bones about it, Microsoft makes great games — Age of Empires, Halo, Zoo Tycoon and Gears of War. 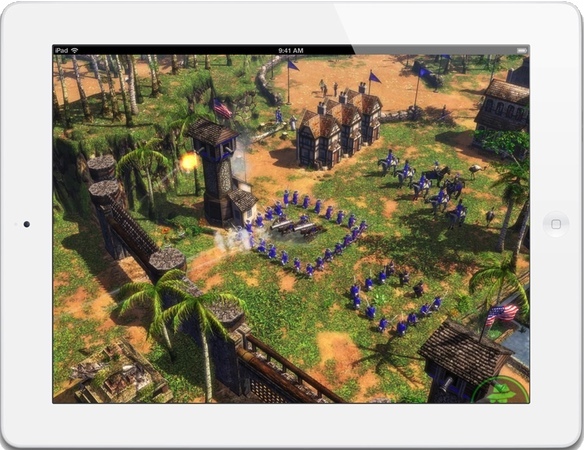 And, assuming the rumor actually has a clue, Microsoft’s all-time best seller, Age of Empires, is coming to iOS and Android before December 31. Polygon has confirmed with Microsoft that Klab Inc will develop an English-language ports Age of Empires for iOS and Android by the end of the year. Less certain is the arrival, sometime “in the future,” of other languages and AoE titles, though Klab’s license covers the entire franchise. Beyond the indefinite future and Age of Empires, plans for additional Microsoft are being muted at this time. That said, remember back in 2012 when Microsoft’s Steve Ballmer said Office for iOS was a sure thing whereafter Redmond first delayed and then unexpectedly delivered a generally unusable version only available on the iPhone and only for Office365 subscribers? Yeah, there is that.